Purpose-built and pixel-perfect – ClearChart®. The all-new family of ClearChart® Digital Acuity Systems from Reichert® are all-in-one, elegant, simple-to-use, and uniquely designed to meet all of your acuity testing needs with a wide selection of optotypes and other special test charts. The ClearChart 4P Polarized Digital Acuity System features a new polarized 24 inch, high resolution, LED backlit display, is lightweight, cool running, and long-lasting. 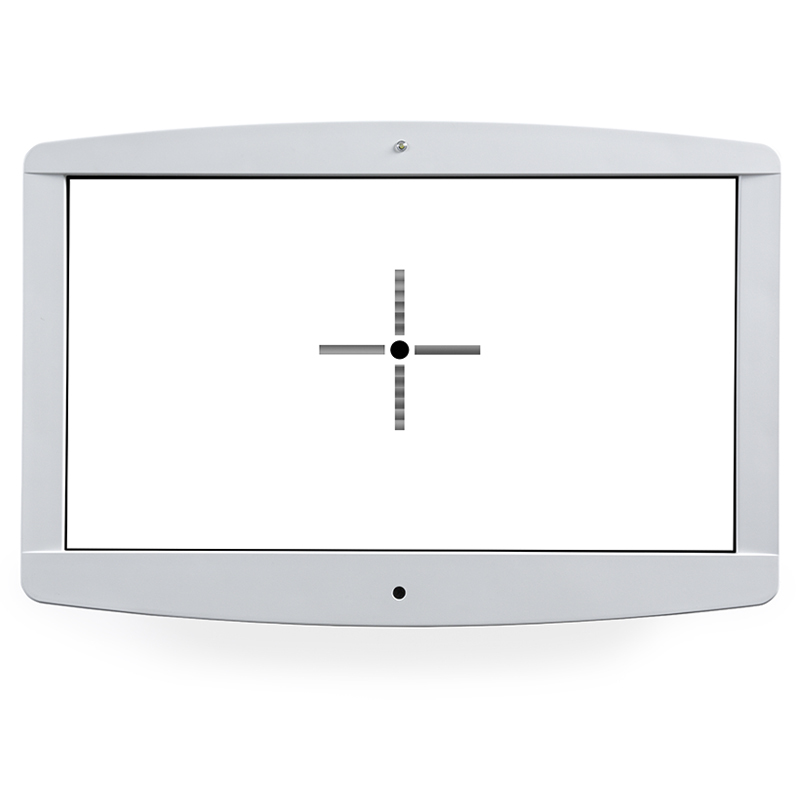 The intuitive user interface, whether controlled from the easy-to-use infrared remote or via the Phoroptor® VRx Digital Refraction System, provides the best user experience of any digital acuity chart. The ClearChart 4P has additional features such as stereo testing, color vision testing, ETDRS testing, patient education images, and ability to import images and video. Also available: ClearChart® 4X Enhanced Digital Acuity System and ClearChart® 4 Digital Acuity System. All ClearCharts are made in the USA. Remote Control: Infrared, programmed for LogMAR, Standard, or Linear Decimal chart progressions. Thinnest & most compact design. Incredibly fast lenses. Ultra-quiet operation. Effortless integration. The most advanced Phoroptor® ever built. The standard in refraction. Trusted for over 90 years with its limited lifetime warranty. The standard in refraction, now with LED illuminated dials. Purpose-built and pixel-perfect, ClearChart® family of digital acuity systems. ClearChart 4 meets all of your acuity testing needs with a wide selection of optotypes and special test charts. Purpose-built and pixel-perfect, ClearChart® family of digital acuity systems. ClearChart 4X meets your acuity testing needs with a wide selection of optotypes, special test charts, plus enhanced features. The all-new OptoChek Plus Auto Refractor + Keratometer, part of the VisionChek Digital Exam Suite, combines technology and simplicity, at the core of your exam.